A wonderful small bucket with a great storey. 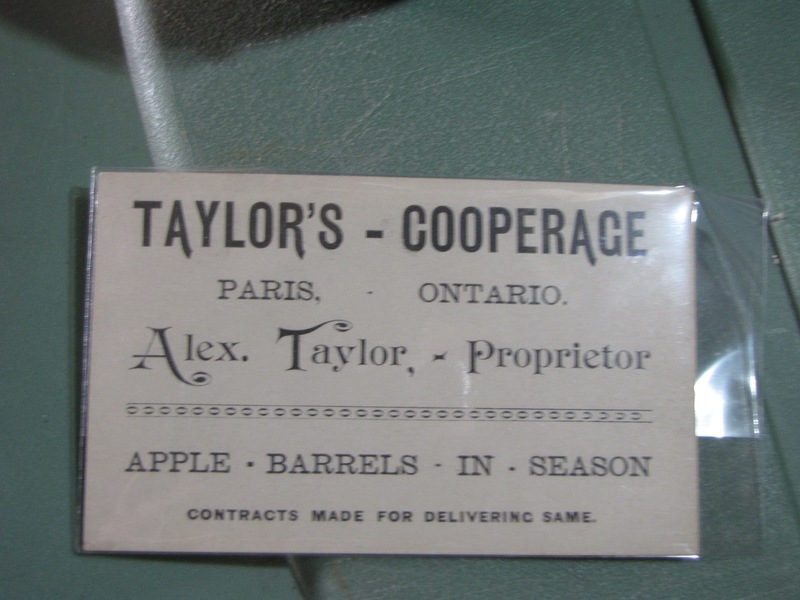 Alexander Taylor was a cooper in Paris, Ontario in the late 19th and early 20th century. 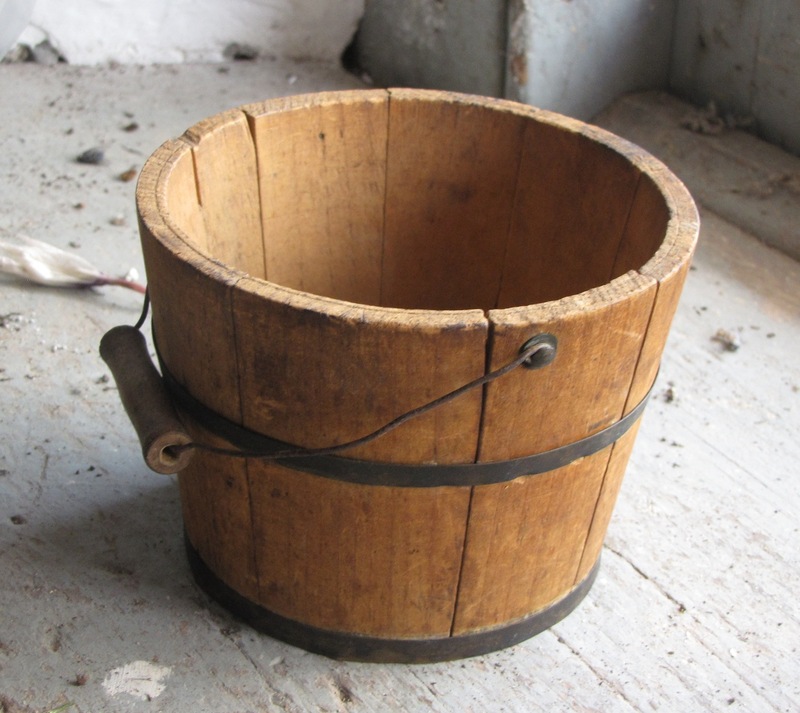 He made this small bucket for his granddaughter Annie Haight. It is "signed" on the interior with her name. His business is described on the card. In good condition, never painted, air burn appropriate to it's age.